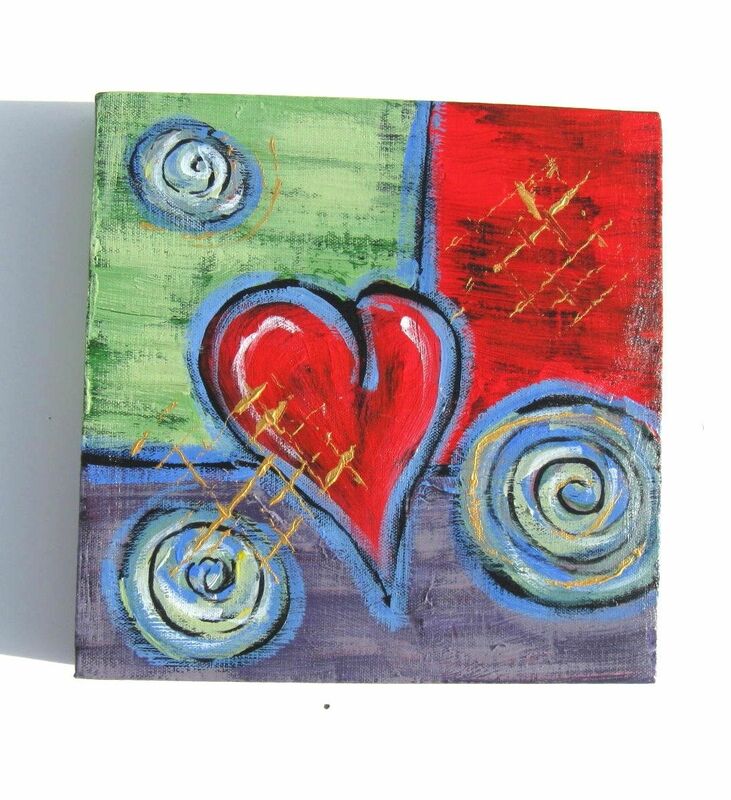 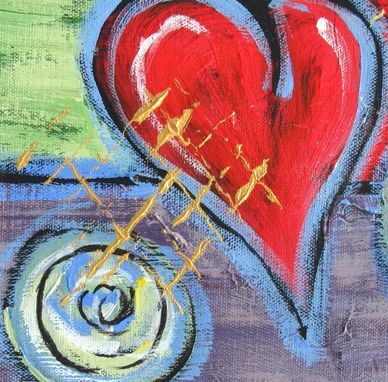 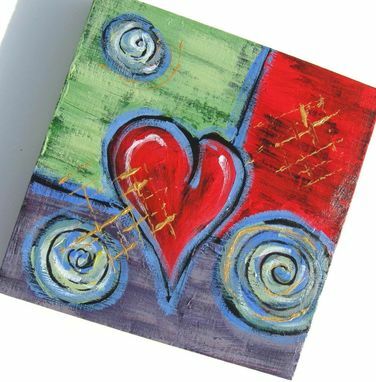 This cheery, abstract, Red Heart Painting, is painted in acrylics on a gallery wrapped canvas. 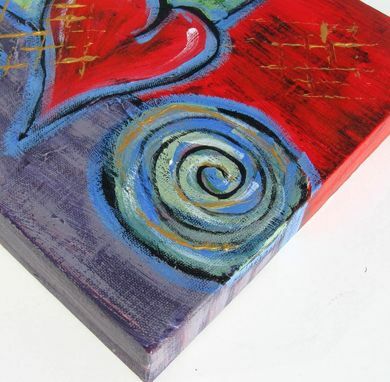 Hues of red, green and lavender are enhanced with touches of metallic gold. A coat of glossy varnish bring out the layers of colors and subtle textures. 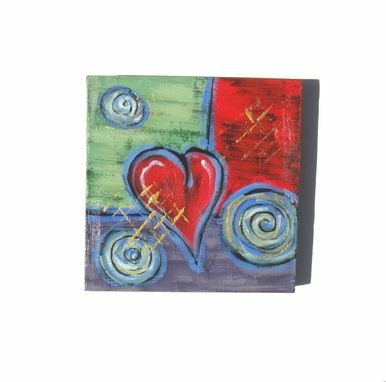 It measures 10"x10"x1.5" and is painted on all four sides so no framing is necessary.